According to government regulatory agencies, there are three types of pet food recalls that can be issued. Recalls can be conducted by a company or brand, by request from the regulatory agencies, or by order from the government agency. When your pet's food has been recalled, you'll want to contact your veterinarian immediately. If it's been due to a contamination issue, you'll want to rule out any resulting health concerns. Occasionally pet foods are recalled because of an error in production so that certain nutrients are present in excess. You'll want to discover if your pet is suffering from any nutritional toxicities, or if there a health-related risks associated with the recall. You might be thinking, "Wait, how will I know if my pet's food is recalled?" You can stay on top of recalls by signing up for emails at the American Veterinary Medical Association's website or by following nationally recognized veterinary education associations. Other sources can include pet education websites, pet food manufacturer websites, regulation organizations, and your pet's veterinarian. Depending on your pet’s species, he or she has very specific nutritional requirements. Instead of substituting something around your home, be sure to call your veterinarian if you need to make a change. You may have something in your home that is temporarily appropriate, but you should give your pet only food designed for them unless otherwise directed by your veterinarian. 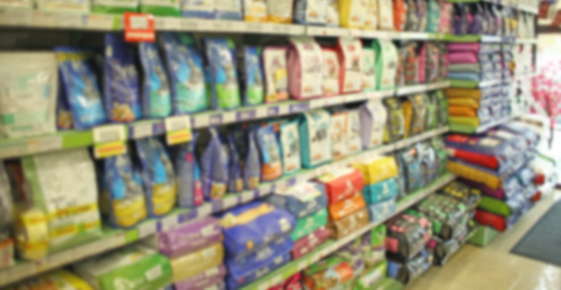 Your veterinarian is familiar with the popular pet food brands on the market. If yours is recalled, he or she will be able to make a suggestion for another excellent, nutritionally complete diet. Remember, it's normal for pet food needs to change as a pet grows and ages, so it could be time to check in with your veterinarian on this topic. To avoid recalls altogether, some owners choose to prepare homemade foods for their pet. Pet owners should know this requires a great deal of time commitment and know-how. Before diving into making homemade meals for your pet, consult with your veterinarian to discuss what specific nutritional needs your pet requires and which foods to focus on or avoid. The recipe you follow to make your pet's food should be developed by a veterinary nutritionist, and the meat should be well cooked or this will be the source of Salmonella,Campylobacter, or E Coli for your pet. Remember to do your homework. If you choose to change food, be sure to investigate the company's recall history before choosing a new brand. If you decide to transition your pet to a new food, many people will do this gradually over four to five days by gradually introducing the new food. For example, the first day you may offer 25% of the new food and 75% of the old food. The third day would be 50 % of each, and then the next day the majority would be the new food, and so on until only the new food is offered. If you have any questions about changing your pet’s diet, always speak with your veterinarian. U.S. Food and Drug Administration. Animal & Veterinary Recalls and Withdrawals. January 25, 2014. AVMA Recall Watch Twitter Account. @AVMARecallWatch.